No matter what the issue, your selection of a qualified and experienced attorney is essential to your success. Your attorney needs to tailor his approach to your individual problem. Some cases need to be litigated. Others can be resolved through either a Collaborative Law approach, or the use of a mediator. The correct approach to your problem is critical to cost-effective resolution. For an initial consultation regarding Massachusetts probate law matters, contact Attorney Robert DiLibero, a knowledgeable Greater Boston Family Law and Divorce lawyer. He believes in building trust and communication and settling disputes in a supportive environment. Massachusetts probate matters can be complex and time consuming. Ease your burden by learning your legal rights and obligations. 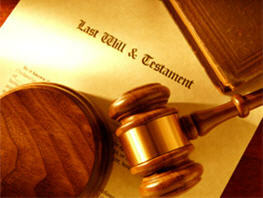 Call Massachusetts probate lawyer, Attorney DiLibero to schedule an complimentary initial consultation.